We hope you had an enjoyable Thanksgiving! It is now officially Christmas season (even though we’ve been listening to Christmas music for weeks… don’t judge) and Christmas parties will soon be planned and executed. To continue with our previous Christmas decoration post, we’ve come up with a couple different ideas for decorating your table for Christmas dinner using the same peacock inspiration. 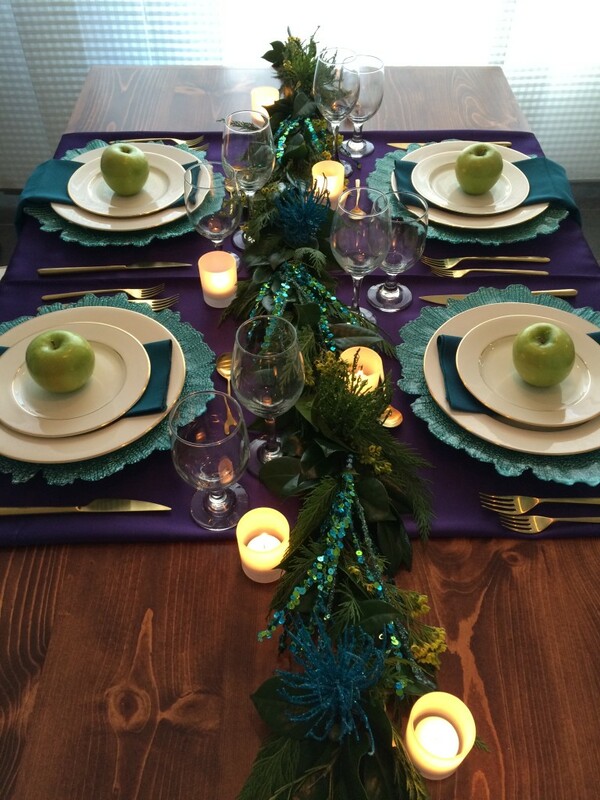 Our first tablescape idea invokes a vibrant and lively holiday atmostphere! It features a deep purple dull satin tablecloth and a luscious garland of greens and glittery ornaments trailing the length of the table. 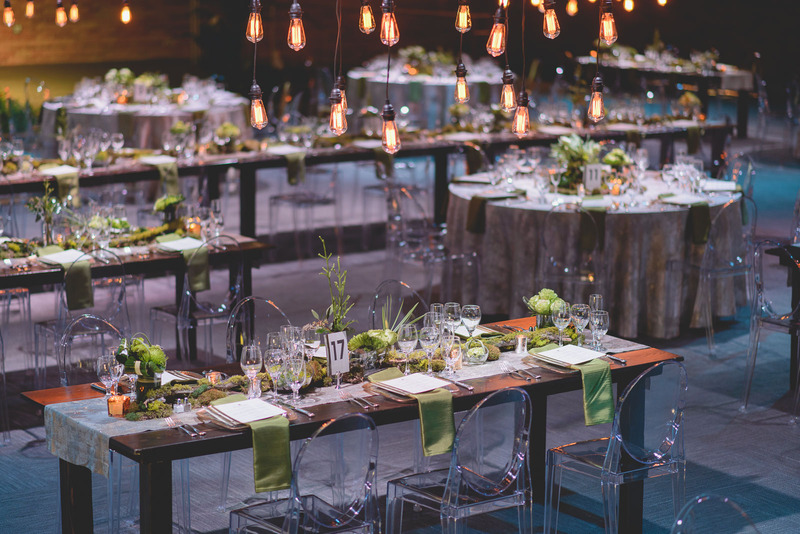 Of course, don’t forget the candles to add drama and glow to your table. 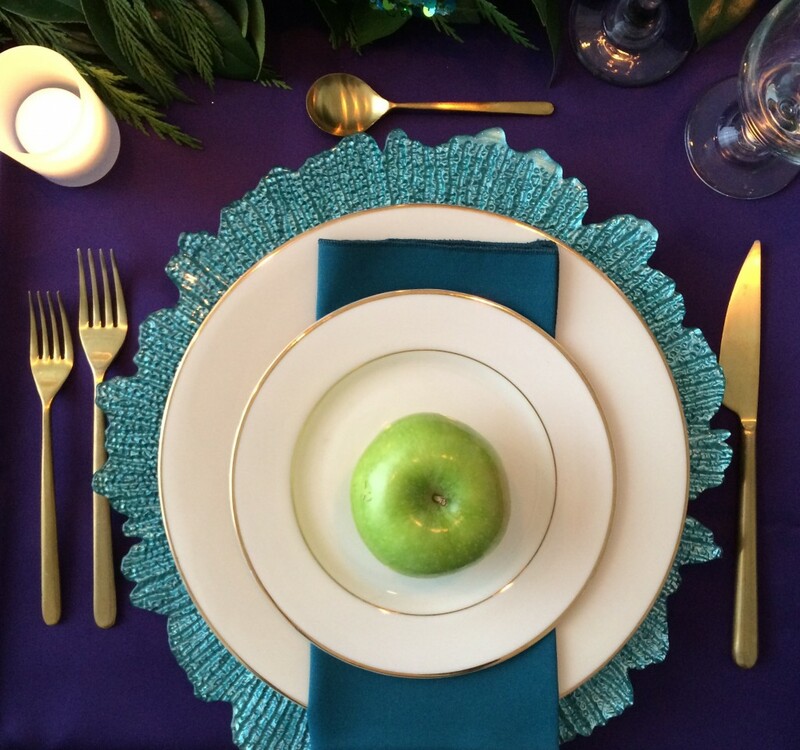 For the settings, we used a Sea Sponge Turquoise charger to add color behind our gold-rimmed white china. 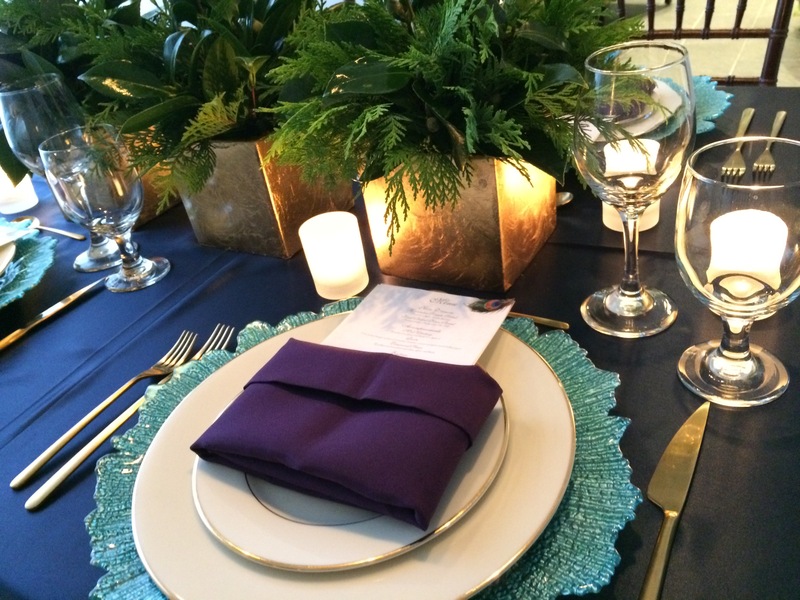 To add to the color, we layered a tri-fold turquoise napkin between the plate to elegantly flow over the side of the setting. 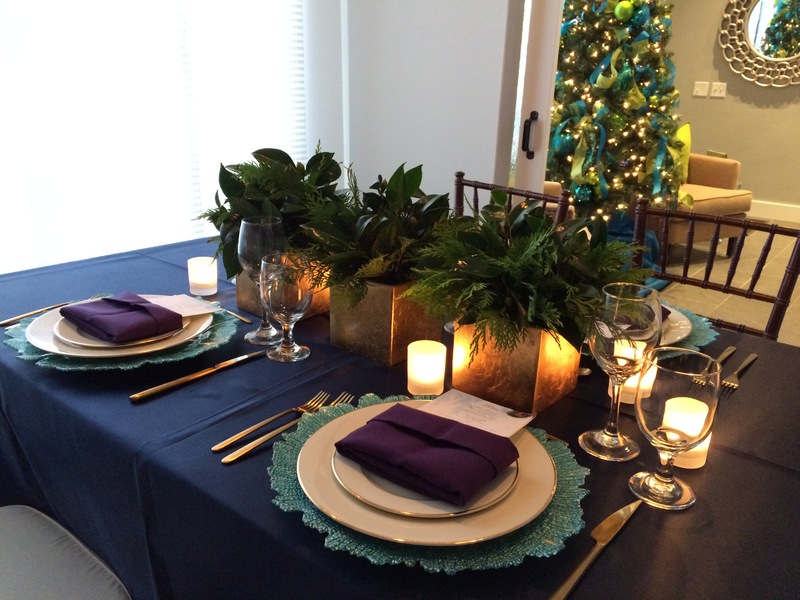 To add some drama, we completed the setting with matte gold Linea Ice Oro flatware. 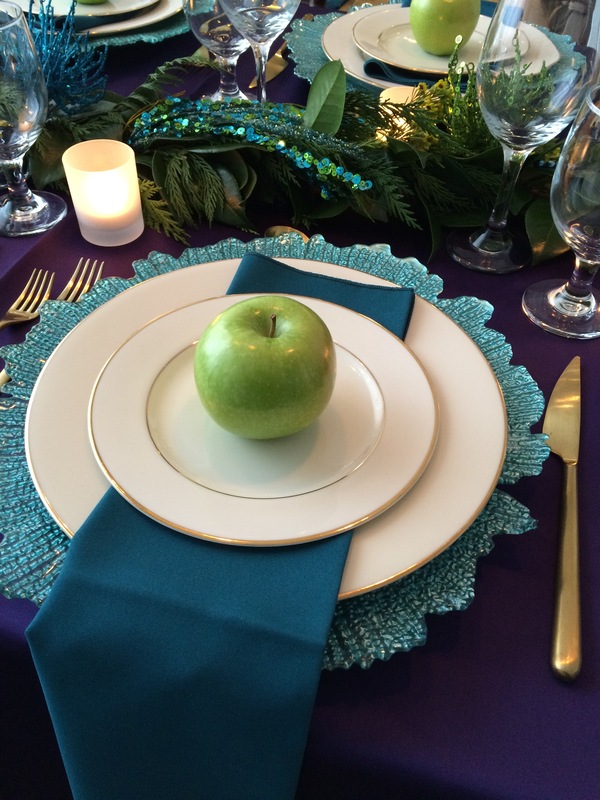 Finally, to finish it off and add a delicious touch we topped each setting with a beautiful granny smith apple. If you’d like to customize the setting even further, use the apple as a name card holder: cut a thin slit through the top of the apple and place the name card in the slot. Or simply just lean the name card against the apple on the plate! 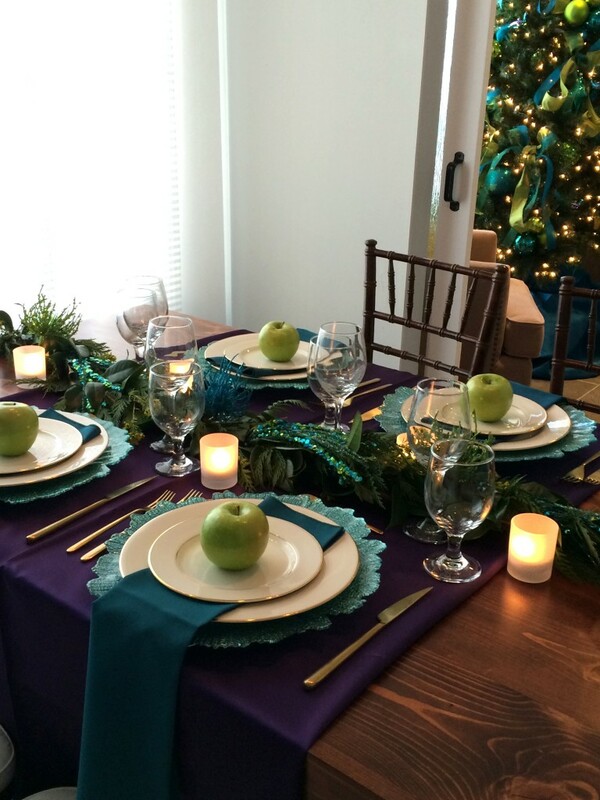 If vivid and vibrant isn’t exactly the ambiance you are aiming for at your Christmas dinner, but rather intimate and charming, our second holiday tablescape idea is for you. 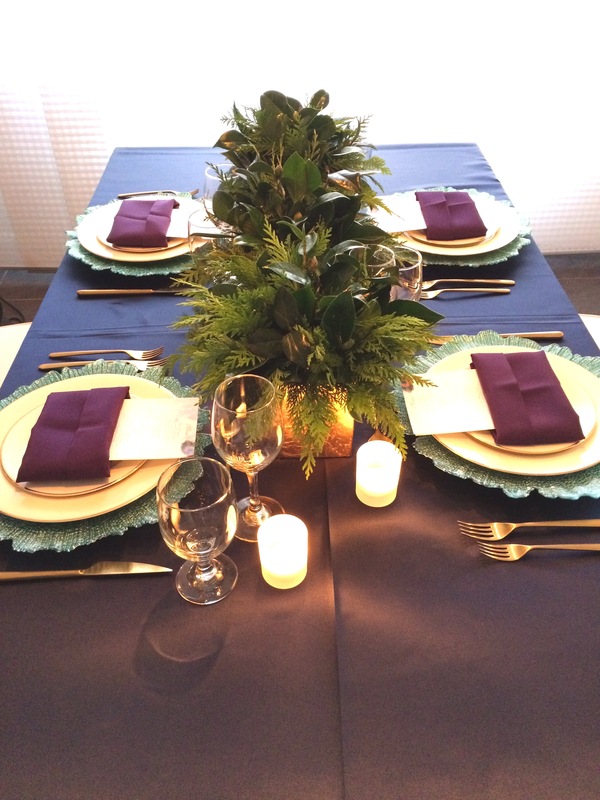 This time, we completely covered the table with an oversized, navy blue matte satin tablecloth to add a formal look to the overall table. We used square, gold-leafed vases brimming with ferns and greenery accompanied with lots of candlelight to add romance and intimacy. 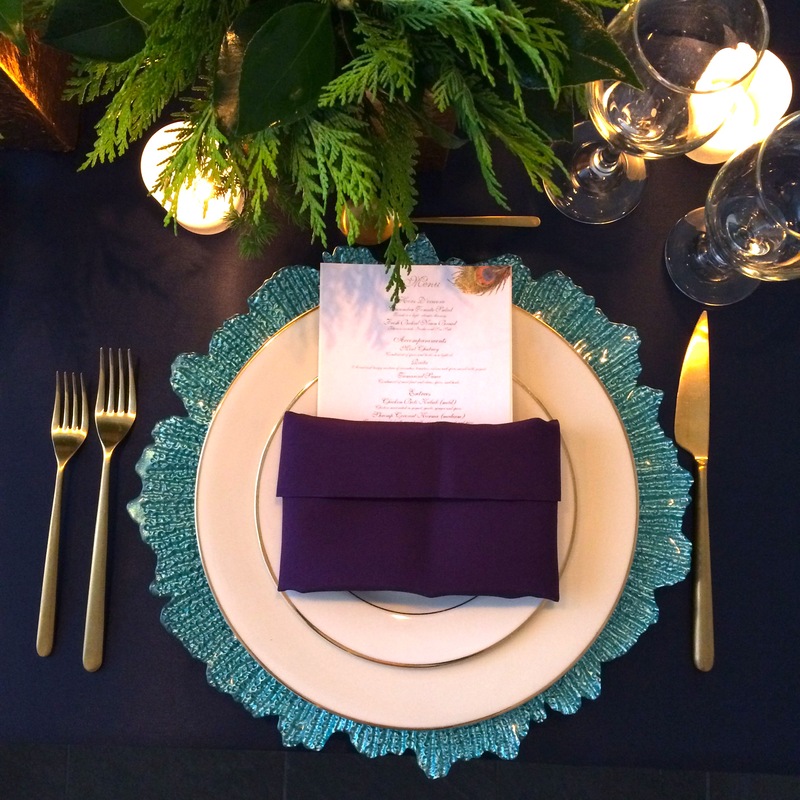 For our place settings, we continued with the Sea Sponge Turquoise charger, gold-rimmed white china and matte gold Linea Ice Oro flatware. However we wanted to add a bit more depth to the table so we folded a deep purple napkin linen to hold our beautifully printed menu cards. 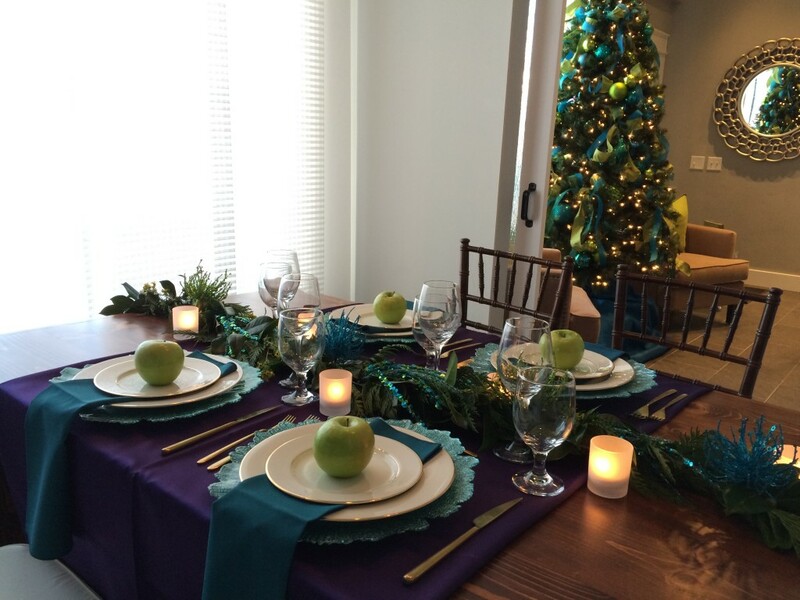 We love the possibilities with this holiday tablescape to kindle a warm and personal atmosphere for your Christmas dinner party.